The season of change is here. As the air starts to chill and the leaves change color, an excitement of another new season is felt. Fall is one of the best times to remind ourselves what we are grateful for and, to lay down some new goals - health and otherwise. If you are like me, your eyes have recently been glued to the crazy political campaigning that has been going on with our American friends. Although most of what I have watched is cringe worthy, there was one beautiful phrase spoken by first lady Michelle Obama. In a recent speech, Michelle said "When they go low... we go high". Her words can really be applied to every area of life - thoughts, food, exercise, family, and friends. In this season of change, lets all focus on the positive changes we can make for ourselves and for others. 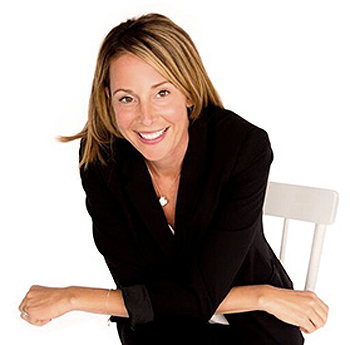 Did you miss the Eat Clean challenge on Cityline? Not to worry you can get all the details here. Big news! For the month of October, I am offering 10% off all new programs - over $100 in savings! If you want to lose weight in a hormonally balanced, personalized and safe way, call Ontario?s #1 weight loss clinics to book in for a free weight loss assessment. Effective and long lasting results, you will not believe how quickly you begin to look and feel your best. And... a huge congratulations to Shulman Weight Loss client Demi who is 62 pounds down! 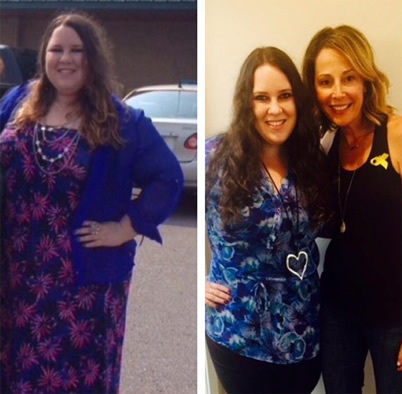 Six years ago, Demi walked into my clinic wanting to lose weight. The moment I met her ? I could see she was special. I called her my girl with kaleidoscope eyes because of how beautiful her eyes were. Unfortunately ? life threw Demi a few tough curve balls and her weight loss journey was stopped along the way. But... 11 months ago, Demi had her "aha moment" and was ready to start the program again. She showed back up at my clinic and has not looked back. I am thrilled to report my girl with kaleidoscope eyes is making it happen! This girl is strength, beauty and inspiration inside and out. Thank you to my amazing team who has supported and guided Demi along the way. Watch out world, the future looks pretty darn bright for this one. Have a sweet tooth that just won't quit? 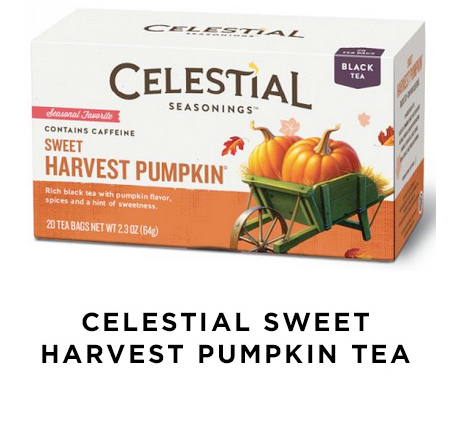 Celestial sweet harvest pumpkin tea will do the trick. This rich black tea has a fresh pumpkin flavor and also contains cinnamon, ginger, and nutmeg. Available at most grocery stores. 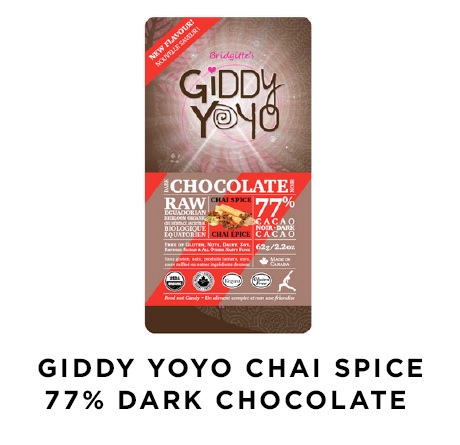 Giddy Yoyo has done it again, creating yet another dark chocolate raw bar that is absolutely delicious. This chai spice chocolate bar is made with hand crafted organic, wild heirloom raw dark chocolate and warming spices such as ginger, fennel, clove and cardamon. Rich in anti-oxidants and warming to the pallet, a couple of squares per day will do the trick. 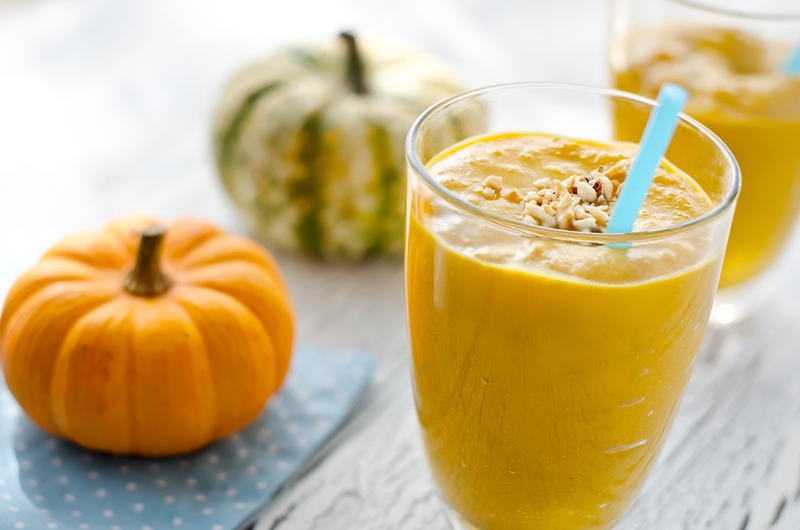 Looking for a great new health booster to put in your smoothie this fall? Bee pollen is the perfect way to increase the nutrients in your smoothie as it is rich in beneficial, vitamins, minerals, proteins, amino acids, and enzymes. Bee pollen has also been shown to boost your immune system and to help lower allergic response. 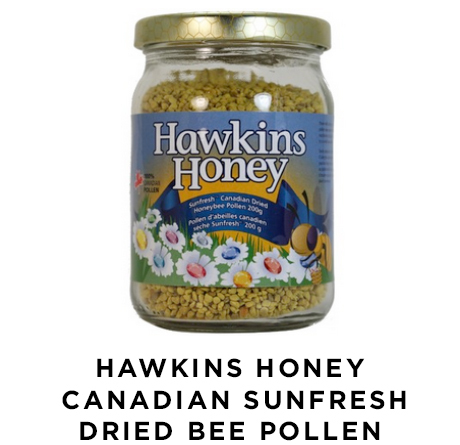 This Canadian dried honeybee pollen by Hawkins is fragrant, pure and nutritious. It is great to blend into smoothies and/or to sprinkle on top of yogurt. I must admit, I am a bit addicted to all of Cocoon Apothecary?s body care products! Their touchy feely body lotion is 100% plant-based and incorporates lavender and rosemary, leaving your skin soft and nourished. Good for all skin types (including those with sensitive skin), the essential oils used are filled with antioxidants and nutrients that help to support the moisture during the fall and winter months. Committed to making eco friendly products, all products are paraben free, vegan based, biodegradable and 100% non-toxic. Add all ingredients into slow cooker and stir. Set slow cooker on low for 8 hours (ideal to cook overnight so oats are ready to eat first thing in morning). Once ready, add into bowl and enjoy warm! Add the miso, vinegar, soy/tamari, 1 tbsp sesame oil and honey into a small bowl and stir to make a smooth paste. Lightly score the cut surface of the eggplant in a cross pattern, then brush with remaining sesame oil. Roast the eggplant for 15 minutes until browned and softened. Remove from oven and brush the roasted eggplant with a thick layer of the glaze. Return to the oven for 6-8 minutes until the miso is toasted and fragrant. Sprinkle sesame seeds on eggplant and serve! Drizzle olive oil into skillet over medium heat. Add chicken and cook until cooked through and no longer pink (about 5-10 minutes per side). Once cooked, remove from skillet slice into thin strips. Set aside. Add peppers, onions and Worcestershire sauce into skillet and add cook until browned. Remove from heat and set aside for serving. Arrange lettuce leaves on a plate and add cooked chicken and veggies. Top with avocado, tomatoes, cheese and enjoy! Angela Liddon?s irresistible and foolproof recipes have become some of my staples for plant-based cooking. 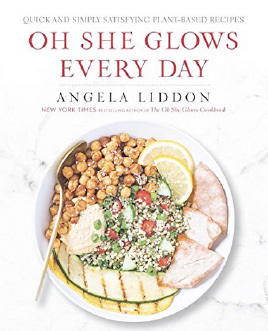 In this highly anticipated new cookbook, Oh She Glows, Every Day, Angela shares wildly delicious recipes that are perfect for busy lifestyles promising to make plant-based eating convenient every day of the week (including holidays and special occasions). Filled with more than 100 family-friendly recipes everyone will love, Oh She Glows Every Day includes easy-to-make homemade staples; useful information on essential pantry ingredients; tips on making recipes for kids with allergies and so much more. A must have in every library. Goji berries - Loaded with beta-carotene, these delicious berries are great for the health of your skin and help to boost your immune system. Perfect to throw into a homemade trail mix. Kale - This ultimate superfood is loaded with a slew of beneficial nutrients including fiber, vitamins, minerals, and antioxidants. An excellent addition to include into smoothies for a nutritional boost. Cinnamon - Cinnamon has been shown to help balance your blood sugars naturally. Sprinkle cinnamon into your coffee, smoothie or on apple slices. Quinoa - This gluten-free superfood is a complete protein ? containing all 9 essential amino acids. A great protein source for vegetarians. Pumpkin seeds - These delicious little seeds are loaded with healthy fats, zinc and magnesium. Throw 2 tablespoons of these super nutritious seeds onto salads or into wraps for the perfect crunch factor. Take a look to view some of the latest success stories at the Shulman Weight Loss Clinic. Schedule a complimentary assessment appointment with the Shulman Weight Loss Clinic, absolutely free!